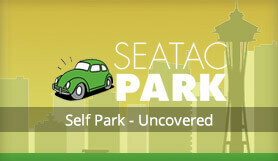 SeaTacPark aims to give visitors to Seattle Tacoma Airport a high-quality parking experience by providing a superb standard of customer service and assistance. Visitors can expect smiling staff at every stage of the journey who are happy to help in any way possible. Please take a copy of your reservation email with you on your day of travel. Report to a friendly greeter on arrival with a copy of your reservation, who will then direct you to the next available spot. Once you are parked you will be met by the shuttle bus driver who will assist you with your luggage. Upon your return, you will go to the same area where you arrived. If you reach the area between 6 am and 12 midnight, the shuttles will arrive every five minutes. However, if you reach the area between 12 midnight and 6 am, you will need to use the SeaTacParking app or the courtesy phone to request a shuttle. Once you have returned to your vehicle, you will report to the checkout where a staff member will review the payment options, collect payment and answer any other questions. Take Exit 151 (200th St./Military Rd exit). Stay straight to get onto S. 200th St. Drive one block west of the intersection at International Blvd. (Hwy. 99) and turn left into the lot at 2701 S. 200th St.
Take Exit 151 toward S. 200th St. Turn left onto Military Rd S., turn left onto S. 200th St. Drive one block west of the intersection at International Blvd (Hwy. 99) and turn left into the lot at 2701 S 200th St.